The boutique property has nine individually styled guest rooms and a new private four bedroom villa. Set right on the beach, all rooms and common spaces are just steps away from the breathtaking oceanfront. Beautifully furnished with locally-sourced furniture and décor, the minimalist decor includes nest-inspired lamp fixtures fashioned from local vejuco roots, benches and re-purposed castaways from the woodworkers in Coba, beautiful antique furniture from San Miguel and hand-embroidered pillows from Merida and Oaxaca. So basically, you'll want to take it all home with you! 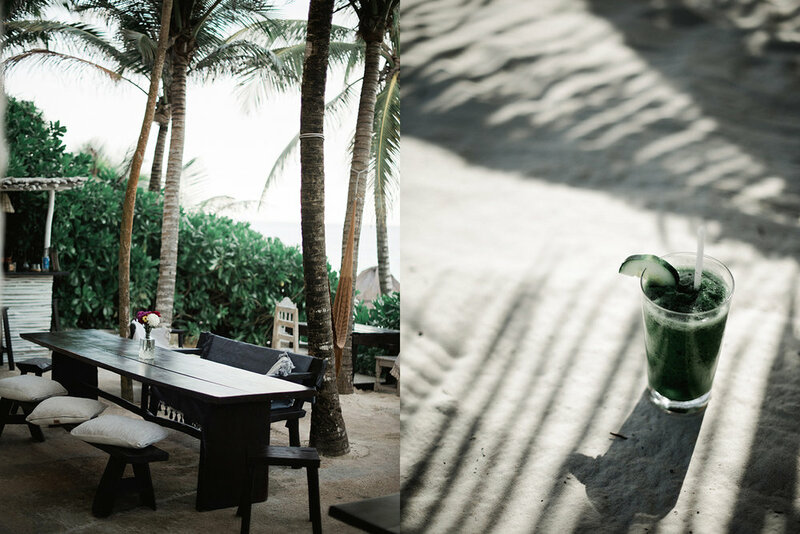 Already known for their tasty Mexican fusion casual cuisine served beach-side all day long, the beach bar opens from 12:00- 10:00 p.m. and there is a daily guest happy hour from 5:00- 6:00 p.m.
NEST is eco-friendly with solar power and generator backup. There are SUP Boards & Kayaks for use, and it's a very short walk or bike distance to many of “beach roads” best boutiques,restaurants and bars. NEST is located 90 miles south of Cancún International Airport (www.cancun-airport.com). Room types in low/high season, doesn't include 19% sales tax. Just a short walk, bike or taxi ride will bring you to the sought after boutiques, spas and restaurants. These include Arca, Casa Jaguar, Hartwood, Casa Banana, Gitano, Sanara beachside yoga, Caravana, Josa, Yaan Spa and many others. 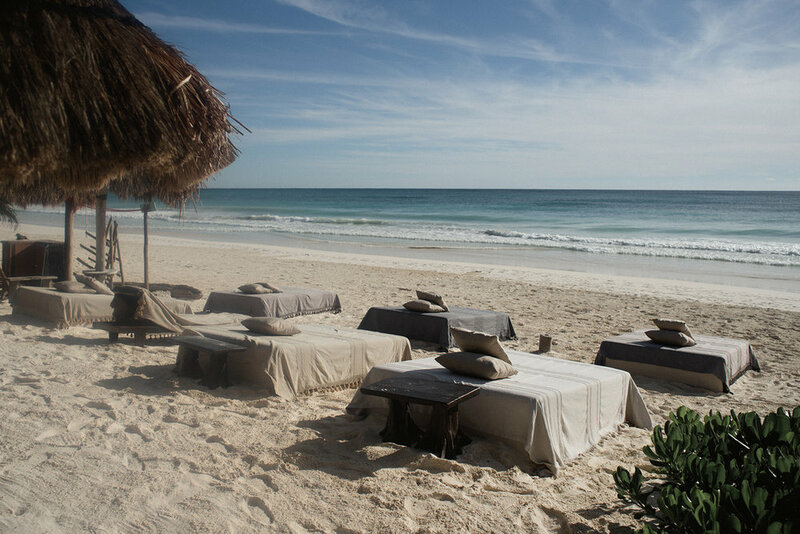 To the south end of the beach road just a few hundred meters away you will find the Sian Kaan Nature Biosphere and to the north the Tulum Ruins, a UNESCO World Heritage Site. NEST staff are prepared to help you book car services, cenote excursion, diving or day trips to the many ruins in the area. Visit their website for booking and information.